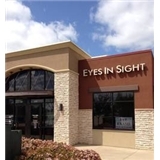 Eyes In Sight (Frisco) - Book Appointment Online! At Eyes In Sight, we prefer quality over quantity. Our vision and purpose is to provide superior eye care with thorough exams and advocate products necessary to improve your quality of life. We value care and strive to treat our patients as a part of our family. We would be honored and blessed to serve you and your family for the years to come. The doctor is awesome and she listened carefully to my son and she was very kind by answering all questions and concerns. My son was not sure about the result of the first test and she recommended to do it again if my son doesn't mind. Front office staff are very kind just as the doctor. SHE IS THE BEST OF THE BEST.